So, Thanksgiving is a wonderful holiday, and I enjoy time with family, giving thanks, and the wonderful food that comes along with Thanksgiving. I try to give thanks daily for things that are big and things that are small. Garner and I say a prayer every day on the way to school thanking God for things like sunshine and rain, blue skys, goldfish, fleece jackets, friends, teachers, momma, daddy and the list goes on and on…she’s ends our prayers with AMEN! and a cheer. I also started getting the decorations out of the attic and put up. I usually don’t like to do that until after Thanksgiving, but next week will be a crazy week and I just needed and wanted to start early this year. It’s been an interesting year and having something warm and holiday to come home to, even if it’s just decorations means more this year. 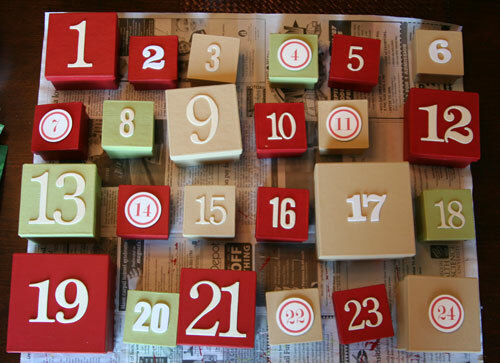 I love holiday crafts too and hope to accomplish something this season. The following projects can be seen on Ali Edwards blog. 2. 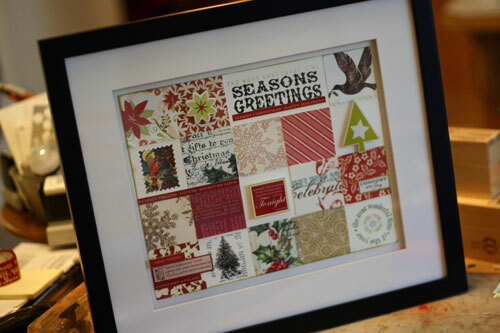 Framed Christmas Card Collage. 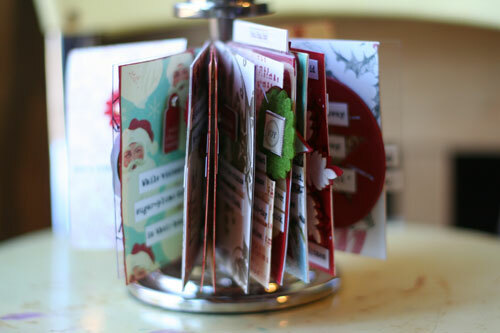 What a great way to use old Christmas cards…if you keep them like I do. 3. Twas the Night Before Christmas spinner – also using old Christmas cards, tags, wrapping paper, etc. 4. And how about an easy Christmas ornament project you can print out yourself! Handmade gifts and Christmas decorations are so good. Better than bought items most of the time. 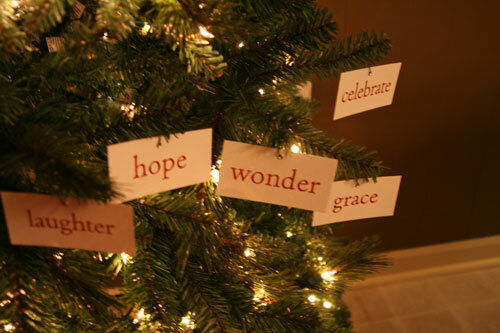 Enjoy creating something this season – I hope I can too!